More than 870 000 people have already seen the Monet show. After this weekend, at closing time on Monday evening, the number will be an estimated 910 000 visitors which marks a new all-time record. 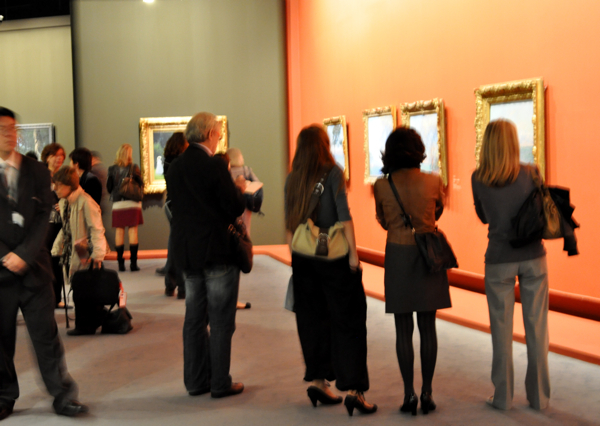 Monet draw more visitors than Picasso et les maîtres. Honestly, I've never seen such a run: it was almost impossible to get into the Monet exhibition and I was very lucky to attend the press pre-opening which I don't always do. Online tickets for the end of December and first days of January were already sold out in October. People who wanted to get in without a reservation had to queue for hours and hours. Even the cold wouldn't stop them. Here on “Mad about Paris”, we announced the sale of 19000 additional "nocturnal" tickets. Now these are sold out too. But you can still try your luck tonight or tomorrow night because only half of the tickets have been sold online. The other half are still available. Gaining access is an issue not only at Monet's exhibition. Jean-Michel Basquiat, the other big success of the moment,forces you into long queues as well. The exhibition at Musée d’Art Moderne de la Ville de Paris runs a little longer until 30th of January, but the show usually closes at 17 h 15. Next Friday, it will open specially, until midnight. The last tickets will be sold at 23h15. Seeing Basquiat late in the evening could be an option after dining – at the fancy Tokyo Eat inside Palais de Tokyo for example. 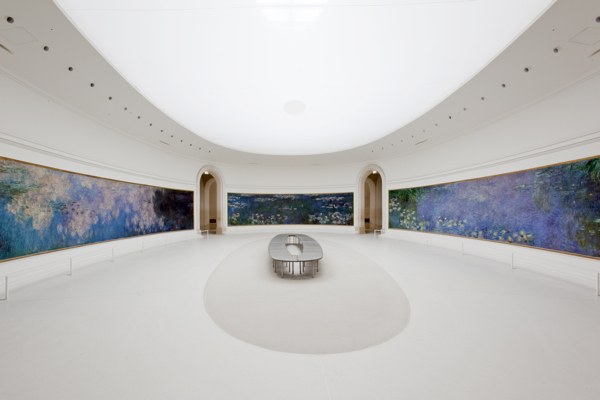 But seeing Monet in the middle of the night? Well, this is not for me. Though it's a very original form of chill out, probably. After all, this exhibition is an absolute must. It’s mind-blowing, it’s beautiful. Those who thought, well, it's just another Monet show, came out enchanted. I confess that I didn't expect too much either, but although I went there with a kind of indifference I found myself with tears in my eyes in front of some of Monet's paintings. One critic put it this way: “A ravishing treat for the eyes.” Difficult to say it in fewer words.